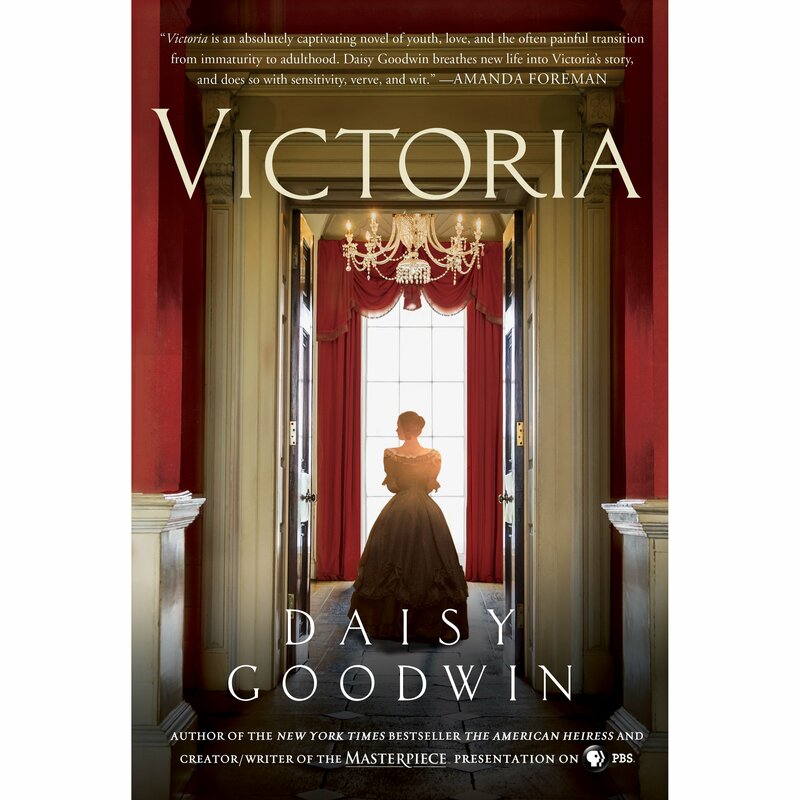 Victoria by Daisy Goodwin is not my usual genre of books. It’s the story of Queen Victoria from the time she became Queen to when she married Prince Albert. It’s written by Daisy Goodwin who has a degree in history from Cambridge and has written other New York Times bestselling novels all about historical figures. I have never read a book by Daisy Goodwin and I rarely read nonfiction. 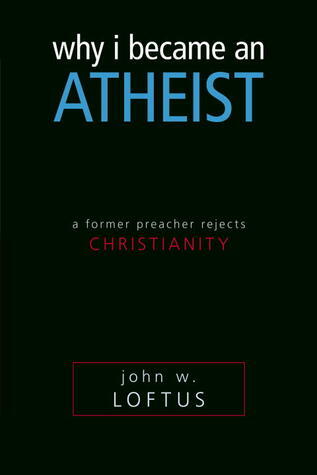 I picked this one up for a moment, read a paragraph and was hooked. I tried to put it down, I actually did slide it back on the shelf, then I walked away and I knew that paragraph would be haunting me for the rest of the weekend and I’d have to return to find out what happened. I bought the book instead. I’m glad I did because Victoria was just delicious. I’ve gone and done a bit of searching since just to see if it was accurate and the truth is Daisy Goodwin got all the facts straight. On top of that, she wove them into a wonderful story. That certainly takes talent. One of my favourite parts about this story is the transition of Victoria from the shy, protected girl we meet at the beginning of the book to the Queen we have in the end. It was quite the transformation. Her mother kept Victoria ‘protected’ while she was a child by not allowing her to see or meet anyone. She was carefully schooled by people she chose and saw only those she approved, which meant that, by the time she was eighteen, Victoria was so sheltered she was very ill equipped to reign. Her mother’s plan had been to make her daughter dependent on her and so reign through her, but Victoria refused to become her mother’s shadow and to bow to her wishes. Instead, she tries to do things on her own. How she manages to not only succeed but to do so well is the meat of the story. Queen Victoria was the longest reigning monarch in England until Queen Elizabeth II just surpassed her only a few years ago. She also married Prince Albert not out of necessity but out of love, something unheard of in that time period and had 9 children with him though she hated being pregnant. She was an incredible queen, something that was due to her determination, perseverance and talent because she started off with odds severely against her. This isn’t a romance story, it’s historical fiction. But I was looking for something different. I like women’s lit and, in spite of the time period change, this is certainly the story of a woman coming of age and finding her purpose and role from a very challenging set of circumstances. It’s incredible how fast those pages turned when I read this book. It seemed to end too quickly. I would absolutely recommend it. It’s got a fantastic story of triumph over adversity, historical facts, a love story and historical kings and queens all in one great book. Plus, it has a ton of intrigue but not a lot of fighting, which I adore. 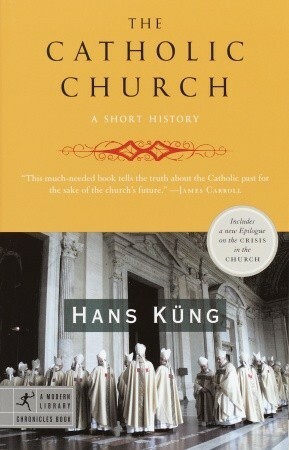 If you’re a fan of fiction or history, this one is a great one to try. If you do, let me know what you think of it. I have discovered Kristan Higgins and I can’t seem to be able to read anything else. There might be a fair amount of her books coming your way in the next bit or so. I’ll also read other authors, but I thought it’s only fair to warn my lovely readers that there might be a bit of a trend in the books you see reviewed here. Madeline Hunter is definitely an author that I keep tabs on. She writes historical romance and, in my humble opinion, doesn’t always get the credit she deserves. 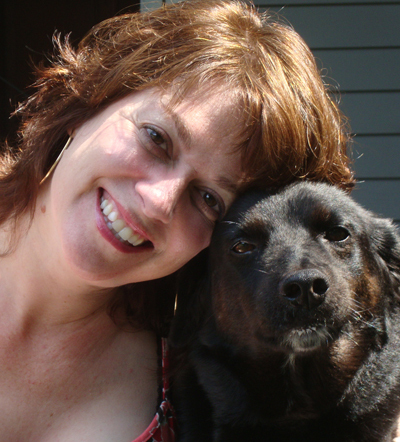 She’s a fantastic writer and has written many books that happily sit on my keeper shelf. So, when I read the back story of The Wicked Duke, it went on my TBR pile immediately. Lancelot Hemingford is the Duke of Aylesbury, a rake with a devilish reputation with women. Unfortunately, he’s also suspected of his brother’s murder, something that bothers Lance enough that he wants to finally be rid of the condemnation. To clear his name, he makes a bit of a deal with the devil and, in the process, ends up married to Marianne Radley. Marianne is legally dependent on her uncle, but she’s incredibly intelligent and smart. She’s figured out a way to make money–something of an impossibility for women back then–by writing under a pseudonym gossip letters to the newspaper. It’s that same cunning that has her sniffing out what truly happened to the Duke’s bother. Their marriage is a busy one. Things start to be uncovered. First and foremost, the Duke wants to clear his name but, along the way, secrets are revealed that test their commitment to each other. The wonderful aspect of the book is that they fall in love with each other by the end, something I was hoping for all along but fearing might never happen. The Wicked Duke has a great pace. It’s not rushed, the marriage doesn’t happen three days after they meet or anything and yet, I kept turning pages trying to find out what was going to happen next. I think what kept me glued was the great characters, the sad but not over-the-top circumstances and the superb dialogue. Historical romance dialogue has to show feeling without using today’s expressions and that’s not easy with polite, restrictive English sayings. Still, Madeline Hunter manages to do just that. Madeline Hunter is certainly no dim wit. She has a PhD in art history and more than twenty seven nationally bestselling historical romances in print. If you haven’t tried her before now, check out her website and try some of her books or go for this one. It might be the third in a trilogy but it can be easily read on its own and it’s got everything you want in a historical romance, the love story, the historically accurate pieces and dialogue, great characters and a rakish duke. It’s definitely a great summer read. Note: to go to site, click on cover. 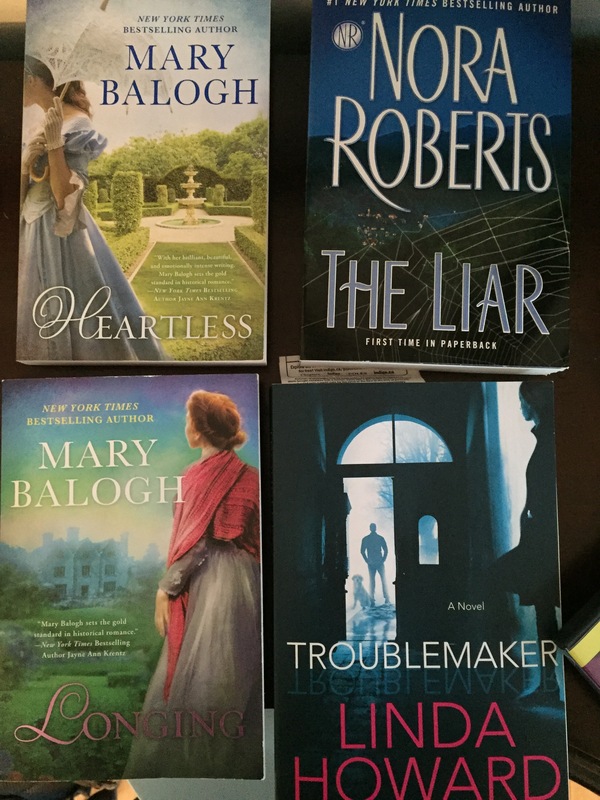 I adore Mary Balogh’s historical romance books. I can’t tell you exactly what it is about her writing but I can immediately tell that she’s from England (she’s actually from Wales). Her books always have a very authentic feel to them that just lifts them above other books. Heartless is the story of Lady Anna Marlow who has devoted her life to taking care of her dying parents, first, and then her siblings until she’s almost out of marrying age. Devoted sister that she is, she’s still thinking of how to marry her younger sister when an elderly aunt takes an interest in her and tries to match her instead. It’s though this match that Anna meets Lucas Kendrick, Duke of Harndon, our hero. After the years of hardship, stress and worry, Anna needs someone to take care of her and lift worries from her mind. However that’s not what she gets in the Duke of Harndon. Lucas Kendrick was banished from England by his own family and, in the aftermath, was forced to find his own way in the world. He did so very successfully, but lost all innocence and became very cynical in the process. He’s reluctantly back to do his duty as heir and it’s just in that frame of mind that he marries Anna. It’s a marriage of two people who don’t know each other at all and who, both, have had traumatic events in their past. What follows is how they manage to heal their wounds, befriend, then fall in love with each other, all while unravelling their place as the Duke and Duchess of Harndon. I love historical romances for many reasons, the elegance of their speech, the beautiful setting, the calm rhythm of their lives and even the lack of technology. Things seemed so much simpler and honourable then. Heartless has all of those, of course, with a very authentic English touch to them all, but it’s also a beautiful love story. And that’s the best part of all. 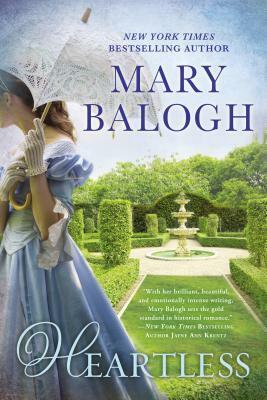 I’m a true Mary Balogh fan and have rarely met a book of hers I didn’t like and this one is no exception. I’d recommend Heartless for the story and writing and because it’s a great book. But, to put it more simply, because I started it on Thursday morning and did nothing all day until I could turn the last page and find out what had happened. Then basked in the afterglow of a good book for quite a few hours. It’s that good. I was actually really looking forward to this one, mostly, because of the two main characters. Ryder and Hope have a ton of chemistry. He’s grumpy and won’t even call her by name and she’s feisty and gives him back as good as she gets. I couldn’t wait to see the sparks fly. Ryder is the last of the Montgomery men, the guy who works things out and doesn’t say much. He’s quick to temper and faster to find a way to do something with his hands rather than talk it out. Hope, on the other hand, is elegant and polished and the innkeeper at the Boonsboro Inn. She doesn’t like his attitude and from using words to hosing him down with a hose, she lets him know it. Reading about these two exchanging grumblings had me laughing and eagerly turning the pages. There’s something to be said for chemistry but eventually, it has to change to care and love or there isn’t any hope for the couple. The transition for Ryder and Hope went smoothly as only someone like Nora Roberts can write it. Along the way, we get to hear how the other characters from the other two books are doing and I, for one, was delighted to see old faces reappear. The three women are fast friends, supporting each other and helping out when needed just like the three brothers are fast friends and joke and tease each other in a very realistic way. There’s also construction that was also deftly and realistically portrayed and work that ruled the lives of these characters like it does mine. It didn’t disappear, like it does in some of the sadder books of romance I’ve read. Here, lives are realistic with flaws and triumphs just like in reality. It creates a world that is believable yet appealing. The Perfect Hope is a really good ending to a great trilogy. I’ll be honest and fess up that I read it in one sitting. It took me only three hours to gobble it up and I ended with a soft sigh of disappointment that it was done. I highly recommend it to any fan of romance and certainly those of contemporary. Nora Roberts is a phenomenon. Note: click on link to go to site. I had to read Stolen. Bitten was so good, it left me wanting more. Stolen is the second book in the Otherworld series. It has Elena and Clayton, our heroes from the former book, but it also introduces other characters and villains. It continues where the other left off, which delighted me, but puts Elena in a fix, which worried me. Stolen opens the Otherworld series wide. There are witches here and vampires and demons and shamans and every other creature you could think of. That didn’t bother me but Elena gets kidnapped and is stuck deep underground by a group of nasty scientist-like villains and that worried me. A lot. There’s something about mad geniuses doing experiments that scares me silly. Before you get all antsy, I’ll let you know that things turn out okay. Elena rules the day, Clayton is awesome still and they come out winners, even manage to make a few new friends on the way. Still, I bit my nails to the quick. Kelley Armstrong delivers another great read with Stolen. The reading is fluid and magnetic. Elena and Clayton are as inspiring as they were the first time around. There is humour sprinkled in that made me adore the book and though there were some terrifying moments, I think most readers won’t be as antsy as I am and they’d love this book. So, if you’re a fan of romance, or like a mystery or drama or even like a bit of a rush, this book is for you. Don’t panic if you haven’t read the first, this one does a great job of covering the basis and introducing you to the Otherworld series. I’d highly recommend it.